Chris Lynch and Michael Samer took a leap of faith almost ten years ago and kicked off their very own ocean adventure company, armed with a few kayaks and a love of the water. 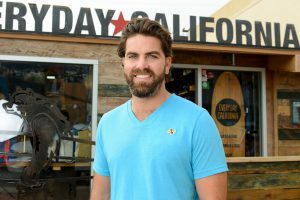 Together, they launched Everyday California and today their company ships merchandise and apparel all over the world; has its own flagship IPA; and has settled into its own 500-square foot space in downtown La Jolla Shores. 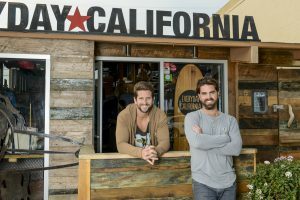 Lynch and Samer are still doing what they love – but they’ve turned it into a successful business that has encapsulated everything it means to be a true Californian. We sat down with Chris Lynch to talk beer, future expansion, and why he loves what he does. We heard Everyday California actually started as a kayak shop! How did that progress to the brick-and-mortar it is today? When we first started, Everyday California was just a few guys with a pick-up truck, a couple of kayaks, and a cell phone. We knew from the beginning, however, that we wanted it to be much more than just a kayak shop on the beach. We started producing our first t-shirts and hats in 2012 and have expanded our clothing line and retail presence every year. What are your first memories out on the water? 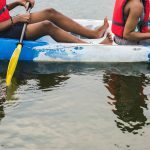 Did you grow up kayaking, surfing, etc.? My mom was one of the first ever female Navy Salvage divers and she had me in the water before I could even walk. I can still remember learning how to scuba dive at the bottom of our pool and driving from Modesto, where I grew up, over to Santa Cruz to learn how to surf, skipping school days to go to the lake and wakeboard. I’ve always loved the water and couldn’t imagine myself living without it. What was the first apparel item you guys began selling? How did that branch of the company get started? The first hat and t-shirt we ever created are still some of our top sellers! 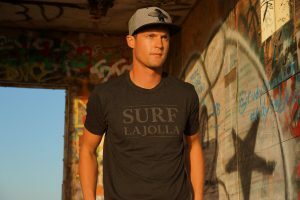 Both items (El Classico and Shores Hat) are available on our website today and in our flagship store in La Jolla Shores. 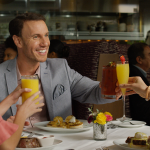 Your brand is all about sharing the “California lifestyle.” What does that embody for you? 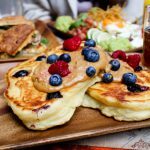 California represents the beach, the breathtaking beauty of Yosemite, the trees from Sequoia National Park, the glittering lights of Hollywood, the rugged rock formations of Joshua Tree, innovation from Silicon Valley, fine wine in Napa Valley and—most importantly—second chances, personal renewal, and entrepreneurship. That’s the California lifestyle we’re trying to share with the world. What’s the story behind your logo, “Brutus the Bear”? Brutus the bear was originally the brainchild of my partner, Michael Samer. He knew that the logo should be a bear and he created a cardboard cutout of a bear, paddling a kayak. Once we had the rough idea, I was able to articulate exactly what we wanted the final design to look like. The bear that you see holding a surfboard today took nearly two years to create! 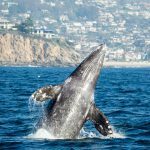 Learn More About La Jolla Shores! Tell us a little about your recent IPA launch with Resident Brewing. Has this been in the works for a while? 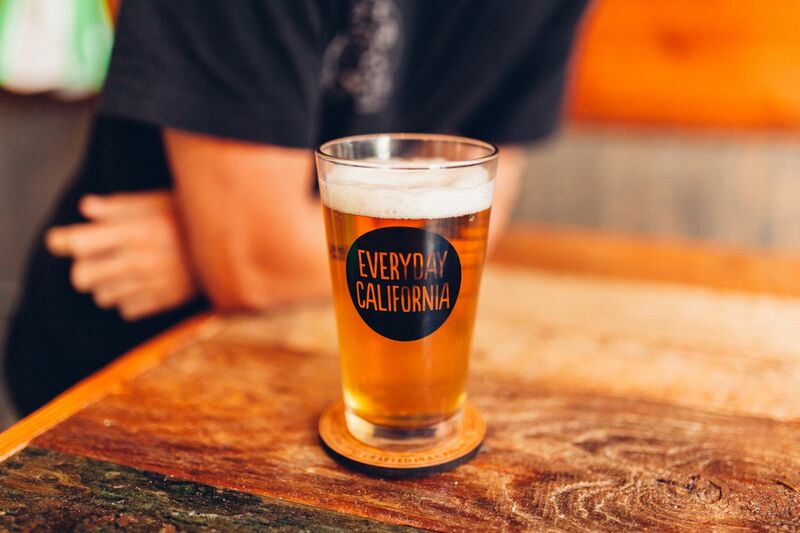 The Everyday California IPA was just released last Friday! This has been in the works for over four months and we couldn’t be more stoked with the final product. Having a partner like Resident Brewing is always a blessing and with their direct distribution into some of the top bars in San Diego, it’s available for everyone to get a taste! However, we only produced a small quantity so you’ll have to get it before it runs out. It’s currently on tap at OB Surf Lodge, Bayside Landing, Local PB, Local Downtown, and Surf Rider. It must have been great watching the evolution of Everyday California over the years. What’s been your favorite part about running the business? My favorite part is all the people who have worked for us and all of the memories we’ve created together. Over the past seven years, I’ve had the pleasure of employing over 200+ college students, ex-military, lifeguards, etc. Each one of our employees has become family and really helped to build the brand and spread the Everyday California spirit in their own unique way. Where do you see Everyday California in three years? 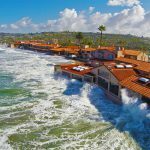 Do you guys have plans to expand beyond La Jolla? Over the next three years, we plan to focus most of our attention on the online store as well as the manufacturing and distribution of our new flip flops. 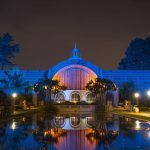 Expanding our retail footprint by opening more Everyday California locations is definitely something we’re interested in doing, but we’re looking for the perfect location. It’s going to be pretty tough to find a place as special as La Jolla Shores! Do you have any favorite spots in the La Jolla Shores area? If I’m not surfing at Scripps, you can find me having an Everyday California IPA at the Shore Rider! Everyday California is located at 2246 Avenida de la Playa in La Jolla. They’re open from 9am-5pm every day, so stop by and check out some of their awesome new apparel or grab a pint of their new IPA.